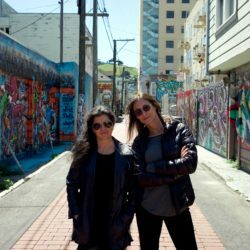 In January 2013, veteran producers Susan Horn Toffler and Paula Cohen launched goodstory films, marrying their production expertise with the storytelling talents of passionate filmmakers. The duo has 25+ years of experience producing all types of content from :06 to feature-length and everything in between. Goodstory has worked with a diversity of brands including Google, IBM, Skype, Gap (RED), Upworthy, Human Impacts Institute, AT&T, Ford Motor Company, Facebook and Bank of America. Their work has screened at SXSW; shown on VH1, MTV, and Discovery Channel; shown at Sundance, D&AD, Telly’s, BTAA, Davey Awards and the One Show; been featured in Fast Company, AdWeek, Huffington Post, Rolling Stone, Vice; and been recognized by Cannes Lions and Clios. Goodstory is a WBENC certified company, proud member of Free The Bid, and features an almost all-women pool of reality-based filmmakers.